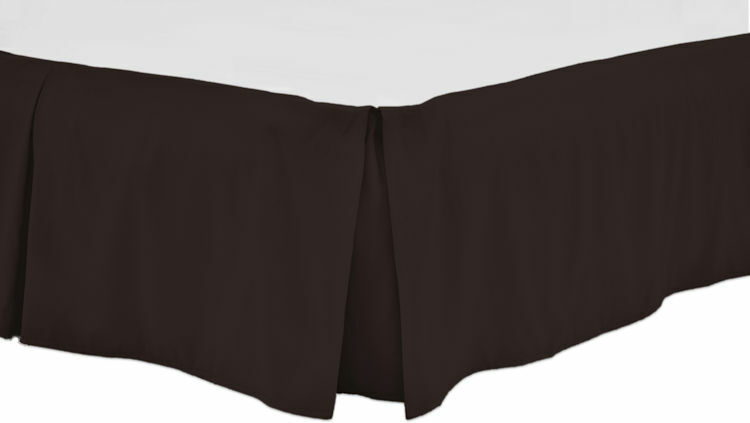 The King size bed skirts have a 15" drop with decorative pleats in the middle of each side for a clean, modern look. The Box Quilted Bedding Collection king size bed skirts are available for wholesale purchase by the case in your choice of 8 solid colors. 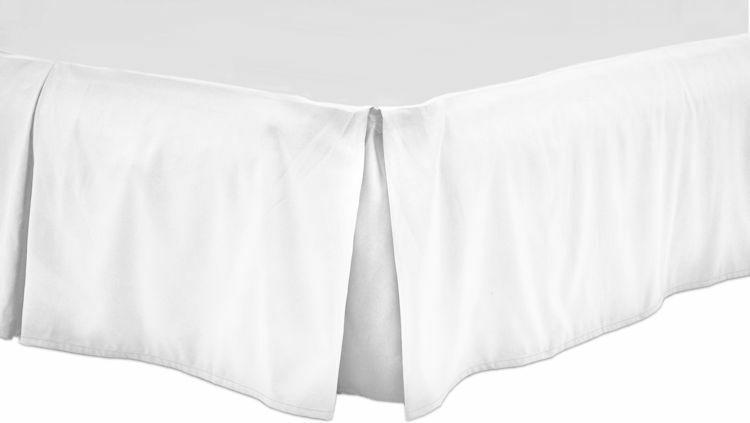 The sides on these queen bed skirts are made from high quality 120 gsm microfiber fabric and the platforms are made of 60 gsm solid white microfiber fabric to create an inexpensive machine washable bed skirt option. 9 solid colors available: Camel, Chocolate (Light Brown), Espresso (Dark Brown), Green Apple, Gray, Moss Green, Nautical (Dark Navy), Red Apple, and White.